On Thursday 22 October 2015 the ACT Chief Minister’s Export Awards were held at the picturesque National Arboretum in Canberra. Andrew Barr MLA welcomed everyone to the event. Comedian Colin Lane and acapella group The Idea of North entertained us throughout the night. 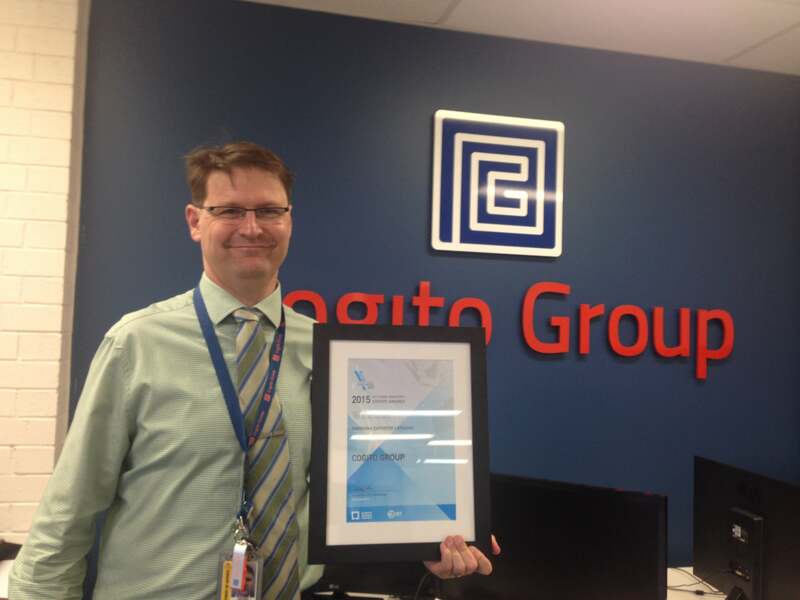 Cogito Group were finalists in four categories. We were lucky enough to come out victorious with sharing the win as an Emerging Exporter with Red Robots Industries, a photo booth company from Canberra. “We are very honoured and surprised to be awarded one of the winners in the Emerging Exporter category” Said Richard Brown, Managing Director of Cogito Group. Thank you to Canberra Business Chamber for putting on such a great event that recognises great Canberra businesses. Richard very happy with the award.